Halloween has always been special at Google -- from our early days, Googleween celebrations were the stuff of legend. At Google Fiber, we continue that tradition -- and help to bring the spirit of the holiday to our Fiber cities, as well. From office decorating to trunk or treating in our communities, Google Fiber teams scared up some surprises and celebrated together this Halloween. Check out some photos from our Halloween activities around the country (and be sure to scroll all the way to the bottom for another proud Google tradition - Dooglers!). Team KC brings the hot dogs, flying squirrels, and more! Salt Lake City embraces their inner Harry Potter. Team Charlotte brings the bacon, unicorns, and more! Team Nashville and families - Taylor Swift, Malificent, and the Brawny man -- oh my! Raleigh Durham mixes it up! UPDATE: As of 6:05 PM CT, 10/25/17, the Community Bonus is currently $2 -- up an additional dollar in less than 24 hours. Giving more people access to faster Internet -- that’s been the mission since the beginning for Google Fiber, and we’re always exploring new ways to make it a reality, including ways to make superfast Internet more affordable. 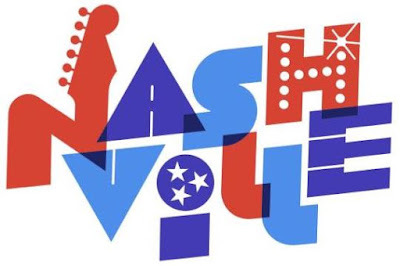 Today, we’re excited to be opening sign-ups in many more Nashville neighborhoods, including portions of Midtown, Edgehill, Sylvan Heights, Acklen Park, Music Row, Hillsboro Village, West End and East Nashville, in addition to areas already open in Sylvan Park, Charlotte Park, The Gulch, Downtown and Germantown. And now, for the first time at Fiber, new and existing residential customers across Nashville can save on their monthly bills by working together. We call it the Community Bonus. The more people who sign up between now and December 14, 2017, the bigger the Community Bonus becomes. Google Fiber customers will see the Community Bonus as a credit on their monthly bill every month through December 31, 2019 -- starting right now! Existing customers will already see a $1/month bonus, and it can only go up from there to save them a bit off their bill every month. All customers on the paid Fiber 1000, Fiber 1000 + TV, Fiber 100, and Fiber 100 + TV are eligible for the bonus -- the amount off the Internet is the same regardless of plan. Existing residential customers in Nashville will be included in the bonus from the very beginning -- so the city is already well on its way to making superfast Internet even better for Nashvillians. Google Fiber wants everyone to be able to make the most of the Internet. We at Google Fiber are excited to see Nashville’s innovators, creators, educators, gamers, caregivers, coders, inspirers, puppy-lovers, bakers, makers and entertainers do what they do best, and save some money while they’re at it! Want to find out if you’re eligible? Check your address at www.fiber.google.com/cities/nashville. population growth, job growth, and overall well-being, and with Google Fiber, internet speed is next! As we’ve designed and constructed our Louisville network, we’ve seen firsthand what that excitement, energy and spirit of innovation can do. Louisville is the fastest we’ve ever moved from construction announcement, which happened in May, to signing up customers. Starting today, residents in the Portland, Strathmoor and Newburg neighborhoods of Louisville can sign up for Google Fiber’s superfast Internet, and take the first step in making the Internet their own. We made the announcement this morning at the Neighborhood House in Portland. As our first Community Connection in Louisville, we are providing the organization with a gigabit connection to support their mission of breaking the cycle of poverty for children and families in the Portland community. 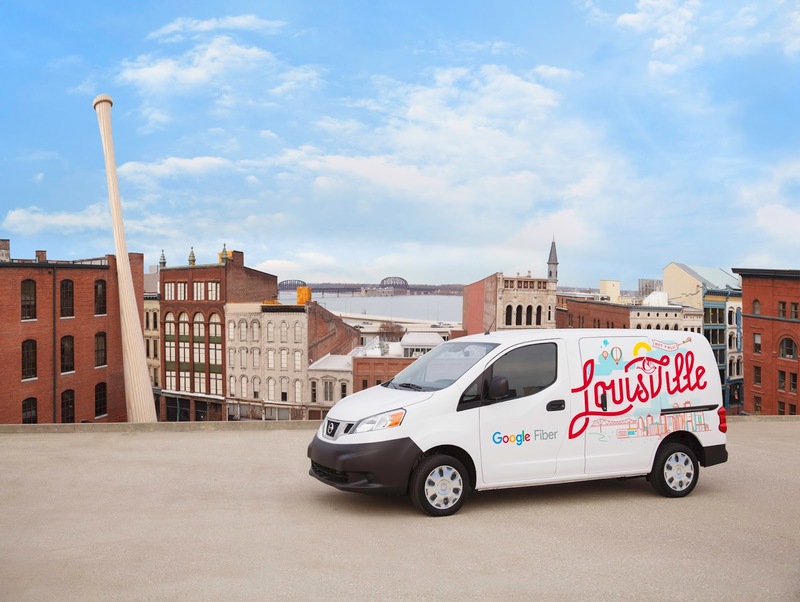 In each Google Fiber city, we’re proud to work closely with the local community and partner with nonprofit organizations that focus on digital inclusion, STEM education, and supporting entrepreneurs and nonprofits, and we’re looking forward to doing even more in Louisville. Residents in Louisville can sign up for our Fiber 1000 or Fiber 100 products. Fiber 1000 ($70 a month) is our superfast 1000 Mbps service, which allows customers to stream, play, and surf all they want across all their Internet-connected devices without issue. Fiber 100 ($50 a month) is a very fast and reliable connection perfect for budget conscious access to the Internet. Google Fiber enables you to access all of the Internet, including taking advantage of all the ways you can get news, entertainment, and live sports -- Netflix, Hulu, HBO Now, and now YouTube TV. For customers interested in watching live TV with YouTube TV, you can sign up through Google Fiber for $35 a month. YouTube TV offers cable-free live TV from Louisville’s local stations -- ABC, CBS, FOX, NBC -- and other popular cable networks like ESPN and AMC, along with a cloud DVR with no storage space limits. For more information on YouTube TV, visit tv.youtube.com. And superfast Internet speeds make it possible to do whatever you want online at the same time, including playing online games, uploading and downloading files, and video chatting. Louisville is a national leader when it comes to creating an environment where innovation can thrive. As the first city to approve One Touch Make Ready policies and to enable other efficient deployment methods, Louisville has been at the forefront of national policy on these issues because the city understands the importance of access and connectivity for all Louisvillians. We want to thank Mayor Greg Fischer and the Louisville City Council for their vision and leadership throughout this process. We can’t wait to see the impact that ultra high speed broadband can have in Louisville, on everything from economic growth to education to public services and more. As we continue construction across the city, we’ll bring our service to more Louisville residents and neighborhoods. To sign up for availability updates and future announcements, visit www.fiber.google.com/cities/louisville. While there may be arguments over the best bourbon for a Mint Julep or which horse is going to win the Derby, one thing Louisvillians can agree on is their city is on the rise. Louisville continues to move up the national rankings for population growth, job growth, and overall well-being, and with Google Fiber, internet speed is next! Led a rousing senior tech day - streaming video was all the rage! Since our beginnings in Morrisville, we’ve expanded to parts of Raleigh, Durham, and Cary, and we are working to connect new areas every day. Our Fiber Space in Glenwood South is a vibrant community space that has played host to gatherings like the East Coast Game Conference, S.T.E.M. Family Days, the Cureat app launch, and even a reunion for our friends from the 518 West Italian Cafe. We are continuing to invest with a variety of partners like the Kramden Institute, Triangle Literacy Council, and the Girl Scouts of the Coastal Pines to impact the digital divide in a meaningful way. Earlier this year, we opened our first Gigabit community in Raleigh to provide free gigabit access to public housing residents, with more to come as our network expands. We’re so thankful for the chance to serve these communities, and look forward to celebrating many more Fiberversaries with you as our business in the Triangle grows. Want to get the latest news on what’s happening with Google Fiber in Raleigh-Durham? Sign up for updates at www.fiber.google.com/cities/triangle. This fall we celebrated our first year in service of customers in the Town of Morrisville, right in the heart of the Triangle. This ‘Fiberversary’ was a chance for our team to say thanks to the folks who got us started, and celebrate with 10 days of events to show our appreciation. This has been our mission since our beginnings in Kansas City, because we believe that it can have a huge impact in a community -- video conversations in real time with no delay; homework at the speed of light; downloads and uploads within minutes, not hours. A lot can happen when you aren’t waiting for your Internet to catch up. Over the years, we’ve worked to innovate the entire process. We’re not afraid to try new things as part of our normal way of doing business -- focused on the end goal of getting superfast Internet into people’s homes. From faster, more efficient new methods of deployment to our commitment to transparent pricing to ensuring our customer service is top notch to our approach to community impact work in each market, we’re always looking for the best way to serve our customers. With that Google Fiber spirit in mind, we’re trying something new in our next two Fiber cities. When we begin serving customers in Louisville and San Antonio, we’ll focus on providing superfast Internet - and the endless content possibilities that creates - without the traditional TV add on. If you’ve been reading the business news lately, you know that more and more people are moving away from traditional methods of viewing television content. Customers today want to control what, where, when, and how they get content. They want to do it their way, and we want to help them. Whether it’s through YouTube TV, Hulu, Netflix, or more specific targeted services -- there are so many ways to watch what you want, when you want it. And Google Fiber’s superfast Internet allows customers to make the most of all these streaming choices by providing the bandwidth to use multiple devices and apps at the same time. So you can catch every minute of the big game at the same time you’re playing that online multiplayer game, or stream a new movie while editing and uploading your home videos. For our existing markets with TV as a part of their product offerings, nothing is changing -- although more and more of you are choosing Internet-only options from Google Fiber. We’ve seen this over and over again in our Fiber cities. As customers look for new options that better reflect what they value in their entertainment, sports and news, Google Fiber will also experiment with new ways to deliver that value and opportunity. Louisville and San Antonio -- our superfast Internet service will be there soon. We’re excited to see what you do with Google Fiber in your own way. Google Fiber’s chief aim is to bring superfast Internet to more people. It's National Customer Service week. With that, we wanted to say a big thank you to our customers for choosing Google Fiber as your Internet service provider. We believe there’s a better way to provide service in this industry. Every day, we receive feedback from you telling us what you love and what we can do better. This is an invaluable part of our growth as a business. We aim to do more of what you love (like offering installation appointments, not windows and cleaning up after ourselves when we visit your home) and continue to improve in the areas that you don’t (like repairing damages caused during construction). If you’ve got something you want to share with us, we hope you won’t hesitate to reach out. The customer service and support we provide each day is a team effort. Happy Customer Service week to all our frontline agents in our Fiber Spaces, to our online and phone agents in our contact centers, and to our technicians in the field in each Google Fiber city! Thank you for the work that you do, for the professionalism you show every day and for giving our customers the service they deserve. We appreciate it every day, not just this week.